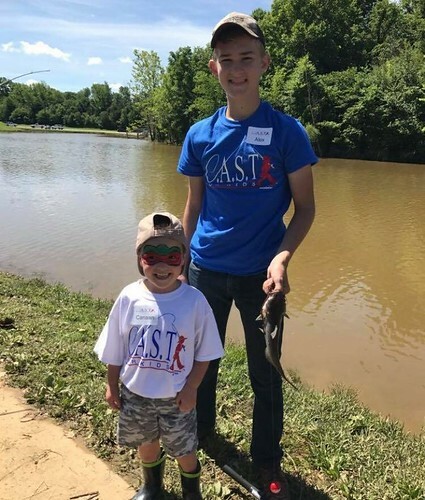 Children with special needs (ages 6-18) and their caretakers come together with community volunteers for a fun day of fishing they may not otherwise experience. 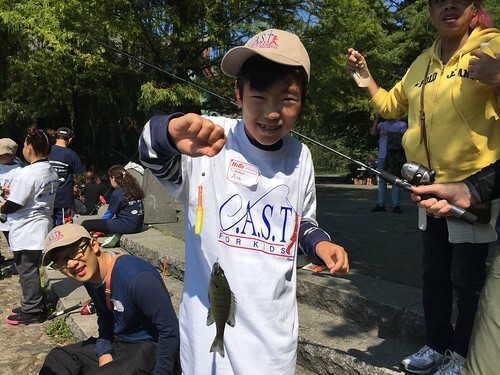 These events provide a refreshing break from their daily challenges. 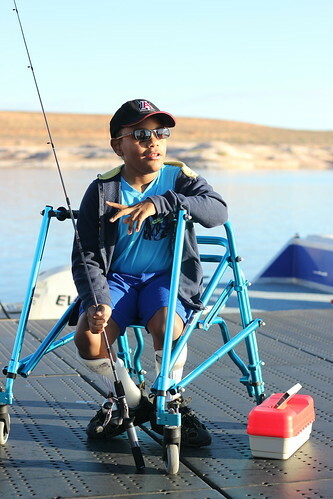 Spreading a positive message that kids with disabilities can accomplish anything, we include all children, despite their limitations. 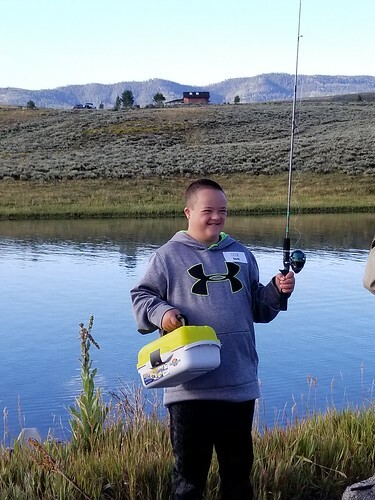 This is all made possible through national and local sponsors-people who want to make a big difference in the lives of kids with special needs thus strengthening their community. 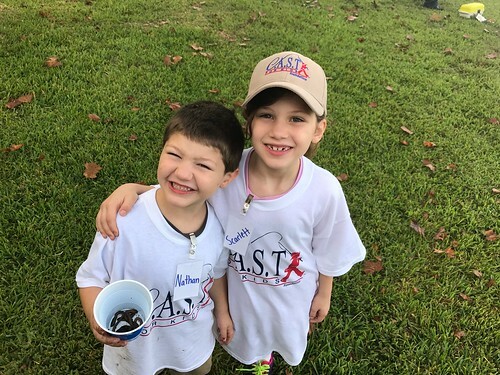 at C.A.S.T. for Kids events! The C.A.S.T. 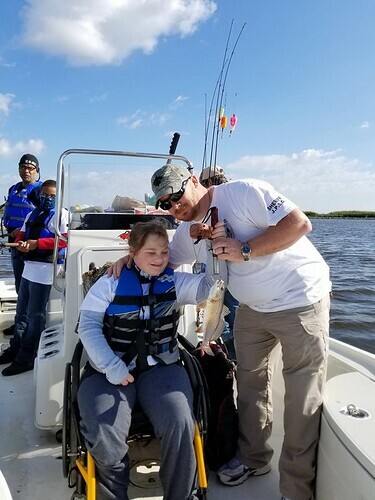 for Kids Foundation enriches the lives of children with special needs, supports their families, and strengthens communities through the sport of fishing. 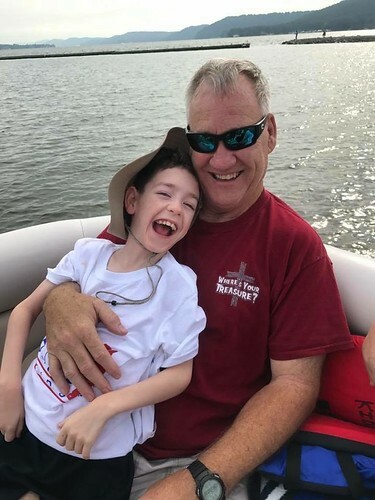 We empower families and communities to celebrate children with special needs, making these children feel valued and loved so they can overcome limitations and be successful. 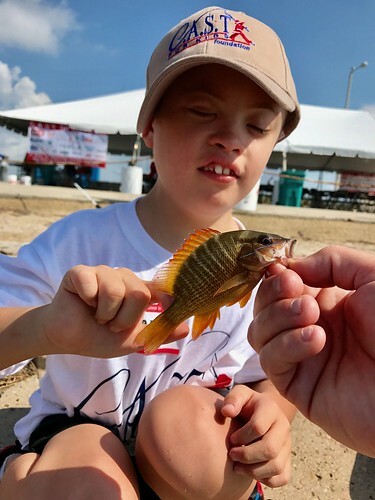 Through a joyful day of fishing, kids, their families and community volunteers come together for an explosion of fun and inspiration. 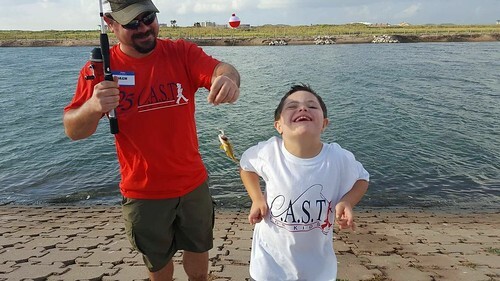 C.A.S.T for Kids Foundation hosts annual fishing and boating events across America to provide children with special needs a quality outdoor recreational experience. 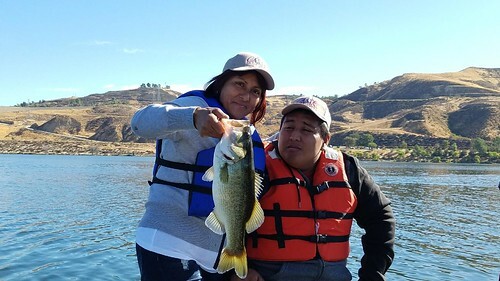 Participants are hosted at a local lake, or body of water, supplied with a fishing rod & reel, t-shirt, hat, and tackle box, partnered with an experienced volunteer angler and escorted onto a boat where, with the supervision of a parent or guardian, they are shown proper fishing techniques and receive natural resources education. 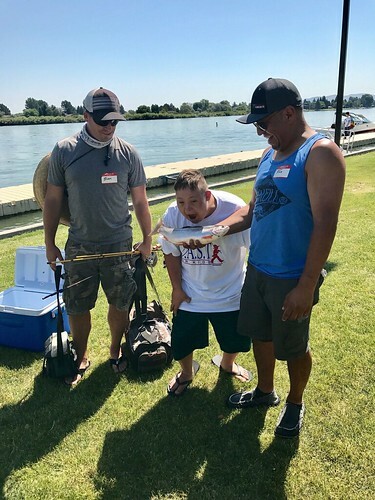 Participants and volunteers all then return from their morning fishing excursion to a BBQ lunch and an awards ceremony. 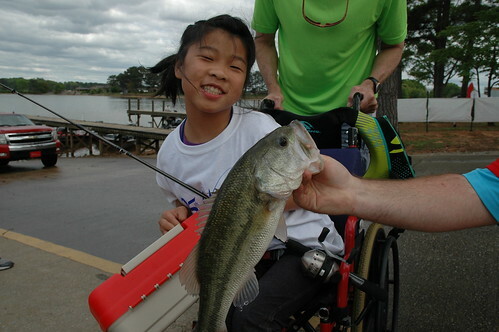 We spread a positive message that all kids are capable despite disabilities. 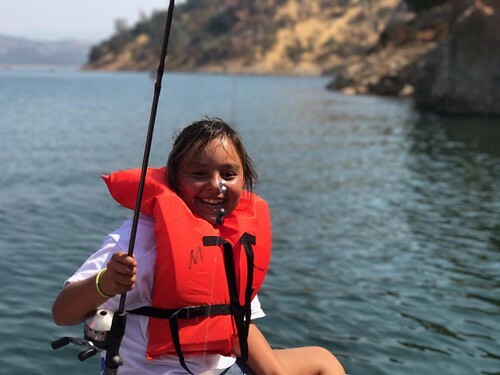 We include all children and give them the opportunity to feel like any other kid. C.A.S.T. 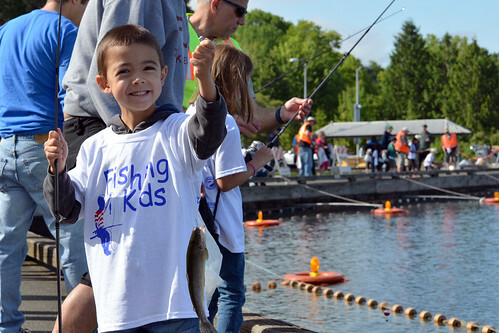 for Kids events are held annually. Search our map to find an event near you. Don’t see an event near you? 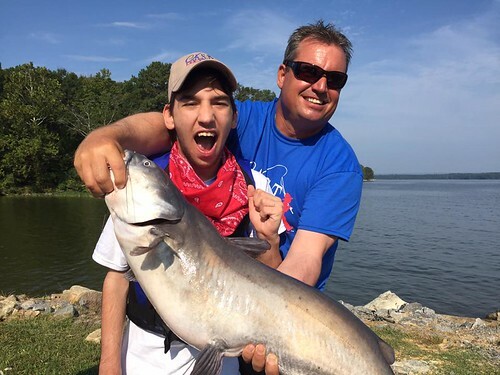 Please join our family of coordinators and host an event! We are always looking for passionate people who care about kids and strengthening their community. 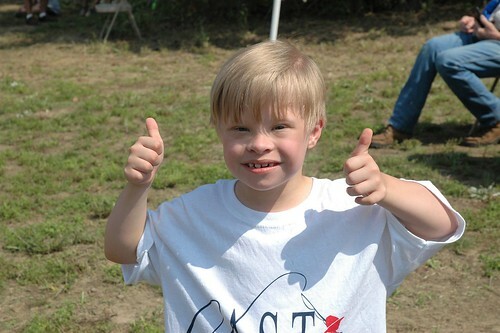 Volunteers are critical to the success of every event. Before event day, volunteers may join the event planning committee and help with organizing various pieces of the event. 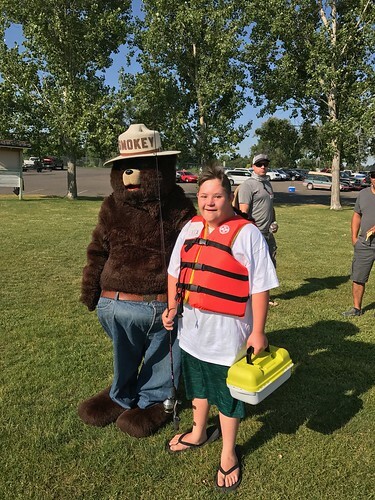 Event day is a favorite, as volunteers set up the event, run registration, pass out fishing rods to the kids and get life jackets fitted. 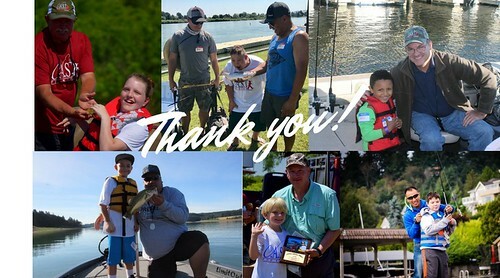 Drivers launch boats, fisherman volunteer their boats and experience to take out the kids on the water while shore volunteers set up the lunch and awards ceremony. 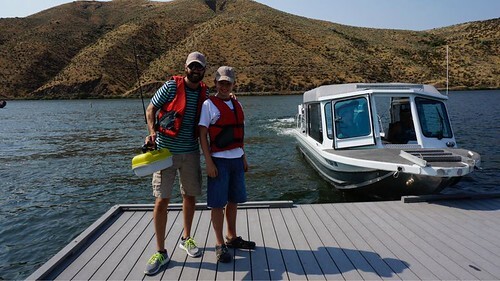 Check out event photos from our past events.